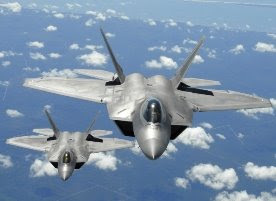 As the United States Air Force (USAF) seeks to maintain competitive advantage in the skies, it has rolled out a technological marvel—the F-22 Raptor. Indeed, the F-22 takes advantage of the latest in technology to help its pilot’s process battlefield information quickly and make decisions faster. What does this advanced airplane have to do with business intelligence and marketing? Probably a lot more than you think.